and I can't get you out. I have been in this dark castle for so many years now. I came when I was 8 and just a small girl. I don't remember my past or how I got here. I have been here working in the castle. First it was little things like helping the kitchen then it became more that I was cleaning the rooms and preparing food. I didn't mind. I was the only child in the castle ever or that is what Mistress Madeline told me. The girls here tell stories when they think I am not listening about the Master of the house. He never called on me like the other girls. In fact I have never seen him but the stories I have heard have been terrifying. They all talk about him as if he is a scary and yet truly desirable man. He has his women in every way he wants. The Master of the house has everything he wants when he wants it... that was why I was so confused why I was there. I was of less value to him than every other girl here. That was until now in the wee morning of my eighteenth birthday. Mistress Madeline came to Cassia's door in the night. She woke her to the smell of a warm rose bath, it was a real treat she had seen some of the other girls received. Had even drawn and warmed the water for a few herself. They had always just returned from the Master's chamber. "Child wake." She spoke softly in the silence of the night. Cassia stood in her white nightgown that fell to brush against her ankles. The smell of the bath made her belly flip. She had never seen the Master so why was it here in her room? "Strip and bathe." she said and looked at the small girl that had raven hair falling over her soft white skin. Cassia hesitated and looked up at her Mistress with startling and in this moment nervous green eyes that looked like the sun was shining through the leaves on a beautiful summer day. "Mistress." she spoke timidly with her voice that sounded like the melodies she often would sing when she believed no one could hear her. Mistress Madeline chide her into silence with a simple tsk of her tongue. Cassie lowered her head and slowly stripped. She moved from the pile of her cloths to the bath that was drawn for her and even though the water was warm she shivered as Mistress Madeline bathed her. Cassie sat there as her Mistress scrubbed and smoothed her entire body. Once Cassie was cleaned she sat on the bed in a towel as Mistress Madeline combed through her hair and then lathered her body with coco lotion. Cassia considered herself smelling so tasty she could take a bite of herself. Cassie looked at the bed where a stunning dress, like none she had ever been allowed to wear before lay. Cassia ran her fingers so softly over the silky fabric with it's elaborate embroideries. She had been instructed to dress and left to accomplish her tasks. By now Cassie was beginning to suspect something that terrified her that she was about to see the Master of the house. Cassie walked out of her room in her bare feet looking down the hall way one way then the other nearly jumping when Mistress Madeline stood beside her as she looked back down the hall. "It is time child." she said and looked down. "Follow me." she said softly. "You must know the rules before you enter this room. "When you enter do not look up unless told to do so. Do not speak until spoken to and what ever you do child listen to what is being told to you. If you do all you are asked you will be just fine child." she said and Cassie bit her lip hearing the tightness in her Mistress's voice. The tightness that came from tears. "Mistress Madeline I am afraid." She whispered as they walked through the stone halls stopping in front of a set of large red double doors. Cassie looked over them and the crest that was on each door. It was here they stopped and Mistress Madeline turned to her. "Do not be afraid my child." she said in affection and took Cassie into her arms a brief moment before the doors opened and Cassie was pushed inside the doors slamming behind her. Cassie turned towards the doors in the darkness panic rising in her belly as she trembled. Her eyes started to adjust when a fire roared to life and revealed a man unlike she had ever seen sitting in a chair looking at her with eyes that looked upon her like she was prey. Cassie gasped and looked at her feet. Zane sat back in his quarters. His new slave had been delivered today. He had been assured she would meet his needs and the qualifications he had requested. His posh mansion on a hill that looked over the stunning busy city below removed him from the unnecessary questions that came from being powerful and mysterious. The true reason he kept his home so far up the hill was for the view and the privacy of course. When in his situation it was essential to not be discovered. Zane sat back in his bed in only his favorite pair of canvas pants. He stroked his fingers absently over the fur cover of the bed as he sipped the red wine in his cup. The fire roared in the fireplace as the only source of light and it was just enough for him to be comfortable and yet for it to be easy to see. Zane's bare chest rose and fell naturally before he lifted his hand and ran it through his hair. He had been warned that his new accusation might not arrive in the most stable of mindsets but he was looking forward to using his special abilities to calm her tattered nerves. It would simply take a touch from his skin to hers. There was a reason he often wore so little. Zane had been thinking waiting and deciding as he did so until his door opened slowly. It was all at once that the sent of her hit his nose. He growled softly to low for her to hear. Zane watched the door close quickly behind the girl and waited until she looked around and at him. He smiled slowly at her waiting a moment before speaking. "My little lamb please come in." His voice came out like silky seduction. It wasn't his intention, he couldn't control it if he wanted to but a little desire would not harm his cause with his girl. "Come closer please." he encouraged again watching her and hoping by now she would gain a little more spirit back regardless of that he was told by her handlers. He needed to inspect her to be sure she was in just as good health and condition as he had been promised not that anyone would want to lie to him. Not in this country anyways. Thibault had taken Cassia into his home when she was very young, after passing her by in the city one day. Her beauty, even as a child, had astonished him, and her scent had mesmerized him, and so he'd taken her as soon as he'd had the chance, allowing her to grow up in his home, always keeping a watchful eye on her, despite never meeting her directly. However, now that she was old enough, he'd deemed it time for them to meet properly. He sat near the fire when she entered, a cup of tea on the table next to him, an old book in his lap. He studied her closely when she entered, noting how she averted her gaze, and how scared she looked. "There's no need to be afraid, Cassia. I will not harm you." He reassured her, voice carrying a thick French accent, although his English was perfect. "I'm sorry to have woken you so late in the night, please, come sit. Have some tea." He offered, gesturing to the seat across from him and the waiting cup. Rosemarie was shoved into the room by her handlers, threatening whispers sent her way warning her to behave. She had been a graduate student before she had been taken, attending university on scholarship, but that seemed like a lifetime ago, even if she had only been taken the week prior. Ever since then she'd been beaten and abused into submission, the only trace of injuries left from her 'training' were a fading bruise on her cheek and a half-healed cut to her lip. Her short brown hair hung in ringlets around her face, warm, but fearful brown eyes looking around the room nervously before settling on Zane, staring at him nervously. She had been dressed simply in a white cotton nightgown, the sleeves slipping from her shoulders as she trembled slightly, both in fear and from the cool air. She frowned as he asked her to come closer, fiddling anxiously with her fingers as she took a few nervous steps closer, although she remained distant, wary of the man her handlers had told her was now her owner. Cassia looked up as he called her name. It should not be surprising he knew her name but it did and the way her name sounded coming off his tongue sent a shiver over her body. She bit her lip hesitating a moment before slowly approaching him. She looked at the tea and chair sitting after a moment and looked over at the man before her. She could smell the fragrance of her favorite tea. She bit her lip again looking down at her hands then back at him. She heard her Mistress chiding her in her mind but she ignored the rules that had been given to her. "I have heard stories about you." Cassia said looking over his rugged pirate face and up into his deep eyes that she sank into like the darkest parts of the ocean. Cassia's eyes widened as a memory clouded her minds eye. It was a cloudy and cool morning on the beach as I stood on the pebble beach littered with shells. The ocean cracked against the coast with he threat of the oncoming storm. My eyes moved over the horizon then up at the alluring man. He held a hand out to him his deep blue eyes calling me to step towards him. I placed my small little hand in his big hand and he smiled sweetly at me. Cassia looked down and then took the tea cup into her hands. That man had been the same as the man sitting before her now not looking a single day older. It was like he hadn't changed at all but that couldn't be possible. Cassia knew she had to have a family out there somewhere but didn't know if they where the kind of people she wanted to be reunited with or if they had searched for her. She took a sip the honey and warm blossom tea slipping down her throat. She set the cup down a slight chatting giving away her nerves before looking back at the man searching his face to understand why her only memory before Mistress Madeline was of him. Zane sighed as she stepped closer but did not approach. He stood and turned to her in a fluid movement. He looked her over then moved towards the fire and held out his hand. "It is warmer over here little one." he said and waited for her to join him gently taking her hand in his. His contact instantly would flood her brain with endorphins making her feel relaxed and eyes happy to be in his presence. It was a side effect that would last for an hour after contact with him. He flipped her hand in his so her palm was up and he ran his finger so gently over her palm then up her wrist. The smell of her blood pumping within her veins made him thirst for her. He let her hand go stepping closer grabbing her chin gently turning her head looking at the bruise before tsking at it. He then lifted her chin looking at her lip and softly ran his thumb over it. He sighed and looked into her eyes. "They where unkind to you. This displeases me. I will deal with it." he spoke gently and then let her go to gently twist a lock of her hair around his finger. "Now before I heal your lip would you like some water or perhaps something to warm you?" he asked softly and dropped his hands walking with his bare feet over to a mini bar just outside of the shadow of the fire. Zane looked over at her the fire behind her highlighting her figure through the dress and making her hair shine putting a wild glow in her eyes. He smiled loving the fire and what it did for her. It made his groin twitch with desire. He wanted to have her right on the rug by the fire. The thoughts ran through his head but he stood stone still waiting for her to reply. Thibault smiled as she sat, not maliciously or cruelly, but a genuine smile, laughing a bit at her words. "All good things, I hope." He spoke before taking another sip of his own tea, setting his book down on the table so that he could lean forward a little, studying her intently. "Mistress Madeline has raised you well, yes? Been kind?" He asked. He hoped that she was happy here, as he wanted her to be, fond of the girl he'd taken all those years ago. When he noticed how nervous she was he rested a gentle hand over hers, offering her another kind smile. "There is no need to be afraid, flower. I would never hurt you." He soothed, his touch warm and calming. Feeling her heart beating and blood coursing under her skin excited him, longing to feed from her and make her his forever, but he knew it would be best to go slow with these things. The girl would need time to adjust. Rosemarie nodded hesitantly as she watched him stand and move toward the fire, following after him slowly, although she tensed at the contact despite the calming affect. She watched quietly as he ran his fingers over her palm, drawing her hand back slowly after a moment, holding it against her chest as she looked up at him with nervous eyes, although she did seem calmer than she had before. She tensed again when he grabbed her chin, whimpering a little, recalling how the men who had taken her had done the same thing before hitting her. She let her tongue grace over her dry lips after he ran his thumb over them, biting her lip nervously when he mentioned her abusers and asked her if she wanted anything. "...Water would be fine." She murmured softly, feeling like she hadn't had a nice glass of water in weeks. She stood silently where he'd left her, bare feet growing cold on the stone floor, fiddling with her fingers anxiously as she watched the flames dance in the fireplace, terrified about what would happen to her after tonight. Cassia looked up at him meeting his eyes for a moment. "Some things good yes others... I don't know if I believe them." she said and looked back at him studying him before looking away at the fire. She nodded in answer to his question. "She has taken good care of me." she said knowing she had been a fair and caring woman raising her as she would if she had been a governess. Cassia had not been loved like a daughter but she was loved by the women here in a sisterly kind of way. She sipped her tea again and looked up at him. "Why have you called me here now after so long?" she asked her heart squeezing. This man had been the source of many interesting dreams and a lot of confusion in her life. Cassia had no idea why she was here in this castle, in this life let alone in his bedroom so early in the morning. Cassia wanted answers. She wanted to finally understand what was happening around here. "Why do the girls say you don't just thirst for things other men do? What do they mean?" she asked trembling at the boldness in asking and the fear of the answer. Zane nodded and poured a scotch and grabbed the pitcher of water and a glass. Zane watched her stand not but two inches from the rug shivering. He set the glasses down and took her hand moving her so she was standing on the rug. "I do not need you catching a cold." he said and then grabbed a blanket from the back of a chair. "Sit on the rug Rosemarie." he said softly and wrapped the blanket around her. "As much as I like to look at you I want you to be warm." he said softly and then sat on the rug and poured the glass of water. He handed it to her once she sat. "Now please I am not going to harm you like they did. I might be a monster but I am not cruel." he said and looked over at her. "I want one thing tonight..." he said and looked her over. He wanted many things from her but he was only going to do one thing. "I want a kiss." he said and sipped his drink before setting it to the side. "Don't get the wrong idea. It is the only way I know how to heal your lip." he said an looked at her. "After that you will be escorted to your room where I will not bother you. You will be expected to eat all three meals and stay hydrated. You will also need to exercise and do your chores and studies." he said and leaned back looking at her. "I like to talk sometimes..." he said and shrugged as if this was not something he would discuss further tonight. "When you are ready to we will try again at this meeting thing." he said and chuckled. "It seems to have gone very poorly already. If there are any problems you will see me sooner than you are ready for..." He watched the thoughts run through her head. "Not like that... I mean we will have to figure out what it is that needs to be changed. I have found happy people do not cause problems." he said and took a sip of his drink. "If you do not feel ready within the month I will request a dinner with you." he said and smirked. If only she knew how wrong she could take that statement but luckily she had no idea yet. "Any questions?" he asked. He wasn't ready to send her away tonight. He wanted to be in her presence a bit longer but he wanted her fear to subside. He felt emotions strongly and hers where making him on edge. Thibault smirked a little at the boldness of her questions, sitting back in his chair to sip his tea. "Why, it's your birthday, Cassia. And not just any birthday. You're a woman now." He explained, reaching for a little box wrapped in a beautiful red silky ribbon, passing it over to her. "Happy Birthday, flower." He smiled kindly, chuckling at her question, giving her a brief look at his fangs, although that was not his intention. "You'll find out in time, my dear. Don't worry about the other girls, they don't know when to hold their tongue. Go on, open your gift." He'd always given her gifts on her birthday, but he'd saved the best for this year. Inside the small box was a gorgeous ring, the red gem set at the center shining in the firelight. Rosemarie blushed as he wrapped the blanket around her, but tugged it around her shoulders, sitting on the rug slowly before taking the water gratefully, doing her best not to gulp it all down in one sip. She blushed when he asked for a kiss, confused as to why or how he would be able to heal her. "I-I've never kissed anyone before..." She admitted softly, staring down at her cup of water, although she looked back up at him when he mentioned that their meeting had gone poorly, eyes widening with fear. She set her cup down and grabbed his hand desperately, looking up at him. "Please, don't send me back to that man. I'll do anything, I-I'll be good, I promise!" she begged, squeezing his hand in hers desperately, obviously more terrified of the people that had brought her here than her new owner. Cassia blushed as he called her a woman then he gave her a present. She had always been told the gifts where from the master of the house but she felt this one was special and as she slowly opened the present. Cassia looked up at him and gasped softly looking down then back at him. Maybe it was true. Maybe he was what the other girls had said he was. She bit her lip and finished unwrapping the gift taking it out and blushing. "It's... it's beautiful." she said softly and touched it gently. She knew rings held symbolism in many cultures and she wondered what he was insinuating. She took it out and slipped it onto her right hand ring finger. It was a perfect fit. She blushed and smiled softly at it. "Thank you." she said softly and bit her lip gently. She still didn't know why he would want her around. "I don't even know your name. They have always just refused to you as the Master of the house." she said and looked down at her lap before wrapping her hands around the cup taking another sip. Zane chuckled. "My that is rare." he said softly. "Then this will be a little confusing for you. See I don't want just any kiss. Don't worry you won't need to do anything and anything you would like to do will come naturally." he said and then was shocked as she grabbed his hand. He looked down at her and frowned. Zane pulled her into his arms embracing her gently. "See this is what I mean by poorly I keep scaring you. Rosemarie look at me." he said softly and cupped her cheek gently. "Nothing you will ever do will cause me to send you back to them. You are mine." he said and kissed her head. "Now finish your water." he said and filled it again. "I will heal your lip then off to bed with you. As much as I would like to keep your company I know your rest is essential after all that has happened to you." he said and set her glass back in her hands. He finished his drink then set the glass up on the table. He watched her waiting for her to finish and to calm herself. Thibault smiled warmly when she placed the ring on her finger, glad that it fit and that she liked it. "I had hoped you would like it.. And there's no need to thank me, I'm always happy to give a beautiful woman a gift." He smiled, standing to add another log of wood to the fire. "My name is Thibault. Everyone else addresses me as Sir or as the Master of the House, but you're welcome to call me by my name. Although I'm afraid I haven't heard someone call me that in so long, I might forget to answer." He joked, refilling his cup of tea before offering her some more. Rosemarie frowned nervously at his words, wondering what more than a kiss he wanted. She relaxed into his arms when he pulled her into an embrace, her own arms wrapping around him loosely, afraid that if she didn't hold onto him someone would come take her away. She nodded a little as he promised no one would come take her again, leaning her head into his hand as she looked up at him with soft brown eyes. "O-Ok.." She murmured softly as he handed her cup back to her, drinking much more slowly this time, not wanting to leave the safety of this room despite being wary still of her new owner. "I-I can sleep on the floor in here, by the fire, you won't even notice me." She promised, looking up at him. "I-I don't want to go back to the dark and cold.." She frowned, looking down at the glass in her hands. Cassia blushed finishing her tea. She watched him and listened to him talk. "Thibault." she said his name softly just to see how it felt on her tongue. He was so sweet on her for some reason. What was he wanting. He gave her gifts and let her call him by his name. He offered her more tea and she shook her head. "Why did you wake me so early? Could this not have waited till a more decent hour? Or was there something else on your mind you where wanting that a decent hour would have hindered?" she asked pulling her legs up into the chair with her as she watched him. He was trying not to scare her but his lack of revealing information was putting her on edge more and more as he darted around every question. Cassia ran her hand through her hair pulling her hair all to one side dropping it over her shoulder and revealing her bare white neck with it's pink hue from the warmth. The fire sparked as the log caught fire bringing more light into the room. Zane enjoyed the feel of her against him and how she clung to him like a small child would. He stroked her hair one last time before watching her drink. He chuckled as she suggested sleeping here on the floor. "Nonsense. If you where to sleep in my room it would be in my bed and you are welcome to it anytime but my little one I do not think you will want to later. Besides I will have someone start a fire in your fireplace and put an extra blanket on the bed." he said and frowning at what she said. "Rosemarie... what makes you think that I would expect you to take care of yourself and to become educated only to shove you into a dungeon?" He looked into the fire and shook his head. "I may in many ways be a monster but my only intent is to take care of you. How could I keep you as my own any other way?" he asked and rubbed the end of her hair between his fingers. "I will walk you myself if you like and you will know the way to my room if you still choose sometime to return." he said softly and chuckled. "Have you had enough water?" he asked knowing if he said much more tonight he would have her running and screaming from him before he even revealed a thing to her. Zane turned towards her once she finished her water and cupped her cheek gently running his hand up into her hair and pushing it back gently before slowly leaning in. "I am going to kiss you now then heal your lip." he said softly. Zane waited until she seemed at least a little ready before his lips brushed hers and kissed her gently. It started as the kind of first kiss every girl wanted then morphed into the kind of kiss that made teenagers squirm. Zane ran his hands into her hair pulling her closer as he kissed her breathless hit tongue meeting with her tasting her and offering himself to her. The sparks lite within and he felt the hunger ache inside of him. He had to be careful now. Zane nibbled at her lip gently before sucking her bottom lip into his mouth. He knew this is where she would become afraid. He let his fang sharpen and ran it over the cut on her li feeling her wince from the pain of it then sucked out a little blood running his tongue over the cut. He grinned as he sat back watching her lip heal. It was no more painful than a needle prick but still he was cautious. "Go look in the mirror above the bar." he said and knew her bottom lip would feel like a new born babies lip. Zane smirked watching her watching for her reaction. Thibault returned to his seat, watching her silently as she spoke, glancing away to look out the window, where light was beginning to peak up over the horizon. "I'm afraid I don't do well during the day.. Bit of a night owl." He murmured before looking back at her, offering her a kind smile. "I suppose I could have let you sleep a little longer, after this I'll make sure you wont be disturbed for the rest of the day." He sighed, running his fingers through his hair before leaning forward, taking her hand carefully in his. "I feel as though I should get straight to the point, although I can try to answer any questions you may have after... I called you here, Cassia, because I was hoping you'd be my bride." 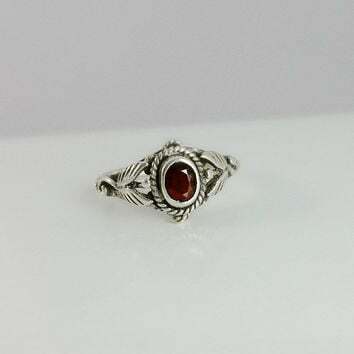 Being the bride of a vampire was much different than being a bride of a human; it didn't include marriage, but a sort of bonding ceremony where the vampire would feed from his bride while she wore a special token, like the ring he had given her. But, similarly to human marriages, after or often during the feeding, the vampire and bride would consummate their union. Thibault had been waiting for this day since he'd first taken her, and hoped she'd be agreeable. Rosemarie frowned a bit as he spoke, nodding a little. "I suppose you're right.." she murmured after he promised to walk her to her room. She blushed brightly as he cupped her cheeks in his hands and drew her closer, feeling like her heart was beating a mile a minute as he kissed her. By the time he pulled away she was breathless, her preciously neat and tidy curls disheveled by his hands running through her hair, her cheeks flushed red. She raised her delicate fingers to her lip when he said it was healed, standing slowly to move to the mirror, gasping softly as she saw that the cut was gone. She turned back to him with wide eyes. "H-How did you..?" Cassia frowned. She hadn't meant to make him feel guilty but she was not about to argue with more sleep. He was a stunning man and as he looked away she finally got a chance to really study him. He looked back at her his eyes capturing hers as his hand took hers. She bit her lip gently. He started to speak and she thought it was about time but then something came out of his mouth like none she had ever heard before. "What?" she asked not believing her ears. He had her here all this time because he wanted her to marry him? She took her hand and stood up rather quickly knocking the chair back so it made a long scrapping noise. She shook her head. She covered her mouth turning away towards the dark part of the room. Cassia felt like she couldn't breath. She didn't know what to think of all this. "You don't even know me hell and even if you did after me growing up here I don't even know you!" she said looking back at him her hands wrapped around herself. How was someone suppose to react with something like this. She was pretty sure he wasn't human and now he wanted to marry her. "I can't... I... I need to leave." she said looking for the door needing to get out of here. It was like she had stepped into a land like Alice had stepped into Wonderland. Zane chuckled. She she had no idea yet, that was good. "You will learn of many impossible things Rosemarie." he said and stood walking towards her. "But not tonight. I guess it is time I introduce myself and we get you to bed." he said and offered his hand for her to take. "I am Zane. I don't require you to call me anything else." he said and smiled softly at her. He lead her out of his room and lite a candle not because there where not lights but because his eyes where sensitive to them. He showed her the way down the two halls that separated them. He opened her door and smiled seeing they had started the fire. His servants where very good. The bedroom was not a simple one. It was grand with it's satins and the four poster bed. Zane dropped her hand and moved tot he closet pulling out an extra blanket. "I'll trade you." he said softly referring to the one still around her shoulders. Thibault frowned at her words, standing and reaching a calming hand out to rest on her shoulder. "It wouldn't be a normal marriage.. It's really not a marriage at all, most people just use similar terms because it's easier to explain." He sighed, rubbing a soothing hand down her back, hoping she'd come around to the idea. "I know we dont know each other, but Mistress Madeline and I thought it best for it to be this way before we were bonded. I'm not asking you to go through with anything immediately, we have time." He soothed, gently turning her to face him. Rosemarie nodded a little, taking his hand when be offered it. "Zane..." she murmured his name softly, following behind him as he led her through the halls to her room. Her eyes widened and she gasped softly at the sight of the ornate room, turning to look at him. "It's beautiful.." she breathed, glancing down at the blanket around her shoulders when he offered to trade. She nodded a little, carefully unwrapping it from around her, the sleeves of her nightgown slipping further down her shoulders as she did, and the fire light behind her framing her figure beneath the gown beautifully. She held the blanket out to him with a small smile. "I think I'm warm enough.." she had calmed down completely, still a bit nervous about being in a new place, but other than that her nerves had calmed, leaving her happy to be in his company. "Oh and that makes it better?" Cassia asked pulling away from his touch. Not like a normal marriage. How was that better? "Bonded?" she squeaked starting to feel light headed. She ran a hand through her hair and shook her head. "No... stop it let me go." Cassia pulled away from Thibault again and stepped into he dark more. "I won't agree to anything. Look I don't know you and to hell with what you both agreed I don't care." she said and crossed her arms again after pushing his away from her. There was nothing she could say more than no. It wasn't anything personal. Hell this little proposal wasn't personal at all anyways. "I would like to return to my room now." she said again hoping this time he wouldn't ignore her and would let her leave. Zane growled softly. "I am not a very patient man little one." he said tossing the other blanket in his hands onto her bed. He moved towards her and kissed her shoulder his hand grazing over her over one before pulling up her sleeve. Zane pulled back and looked down at her. "There are cloths in the wardrobe and if you need anything further ask one of the servants running about or you know where my room is. I am not awake during the day though so you will have to wait for dusk." he said and kissed her head. "Is there anything else you need little one?" he asked her looking her over wishing he didn't have to take this slowly. Thibault frowned as she pulled away, glaring down at her sternly. "I think you should reconsider, Cassia, after everything I've done for you. Others in your position have not been so fortunate, especially when their masters are not as forgiving as I am." He stated, although it sounded like a warning. "I'll give you the day to think about it, give you time to reconsider the opportunity I'm offering you. Ask Mistress Madeline if you have any questions." He ordered before turning his back on her, moving to the windows quickly to shut the curtains when he noticed the sun beginning to peak over the horizon, rubbing at his eyes sorely from the burn of the sun. "You may leave." Rosemarie gasped as he grabbed her and kissed her neck and shoulder, blushing brightly as she looked up at him afterword, his touch giving her chills. She nodded as he listed his instructions, wondering why he slept during the day but deciding not to ask. She shook her head when asked if she needed anything, moving over to the bed to begin to pull back the blankets before taking a seat on the mattress. "No, thank you. I don't need anything." She smiled a little, running her hands over the ornate blankets, having never sat somewhere so comfortable. "So you're threatening me! Marry you or else? You're sick!" Cassia said and ran out the door down the hall tears streaming down her face as she headed back to her bedroom. She flung herself into her bed and cried until she fell asleep. Cassia didn't know what she was going to do in a day it wasn't enough time. She couldn't agree to this not with the way he was acting. It was like he was a selfish child throwing a temper tantrum until he got what he wanted. Well she wouldn't give into that. Yesterday she had been a child and today she was an adult. So far she didn't like it. It was later in the afternoon Mistress Madeline came in and sat on her bed stroking her hair. "Cassia." she said softly waking her. Cassia looked up at her with puffy eyes. "I can't do it. I don't even know him." she said and Madeline pulled her close hugging her. "Perhaps but maybe there is a better way to do this than saying no Cassia." she said and kissed her head. Cassia cried into her shoulder closing her eyes tight. She might be right but Cassia was still mourning the loss of her childhood where things had at least been simple. Zane nodded. "Then sleep well. I do hope you feel comfortable here and with me as well. If you are up to it we can have dinner together." he said and kissed her head one last time before he left her room closing the door firmly to prevent himself from turning and returning to her to ravish her innocent little body. He had not specifically asked for a virgin but now that he had one he was feeling very protective and thirsty in more ways than one. Zane returned to his room and took care of the business end with her captors. They where not please but neither had he been with the state they had brought her in at. Once it was finished and the light started to grace the horizon he closed the blinds and moved into the room just off of the closet. He slipped into the darkness locking himself in and closing himself off. Zane closed his eyes and as the day rose he slipped into another 12 hours of nothingness. It was only Rosemarie the clouded his dreamless mind. Thibault frowned as she stormed off, huffing in irritation as he rubbed at his temples, feeling a migraine coming. Vampires often needed to bond to a human periodically throughout their lives, as the blood of a partner sustained them and kept them healthier than that of just a random human. Thibault, however, despite his very long life, had never bonded to anyone, and had never wanted to until he had first seen Cassia all those years ago. He knew that if he didn't bond soon, he might not survive much longer, the act of feeding from random maidens not sustaining him as much as it had in the past. He closed the blinds and settled into bed, drifting off into a dreamless sleep, waking once the sun dipped below the horizon at the end of the day. Rosemarie settled into bed and fell sound asleep, sleeping well past midday, glad for a warm comfy bed after the torture she had been through the past week. When she woke she managed to find a servant and ask for something to eat, and spent the remainder of her day snacking and wandering through the house exploring. By the time the sun set and night fell, she was back in her room, looking through the beautiful clothes that had been left for her in her wardrobe, wondering what sort of occasion she would wear them for. Cassia spent all day with Mistress Madeline walking through the garden trying to understand. She answered most of her questions but for the rest told her that she should ask the Master of the castle. Cassia didn't understand why she was being so secretive. Was there something they where all hiding and why would they need to. Once Cassia was dressed for the night and well rested Mistress Madeline left her to go and talk with the Master. She entered his chamber after being invited and moved to his side. "Master..." she spoke softly. "Might I speak freely with you sir?" she asked and bowed her head. He was looking rough and she hated to see him this way but she understood where the young girl she had been raising all this time was coming from. She knew there was a time constraint in some ways but there was some time and she just knew that once Cassia knew the Master she would have a heart for him. She was a soft but stubborn girl. A servant knocked on Rosemarie's door. Once he entered he gave his message from Zane. "Lord Zane requests your presence for dinner in his chambers. He said to assure you your presence would be greatly appreciated but you are as to do as you feel you need to." he said and frowned obviously not use to giving those in the house so much freedom from the Lord of the house. The servant bowed shortly then exited the room another servant coming moments later. She smiled once she stepped in. "I am here to help you dress for dinner... that is if you are going. I don't know why you wouldn't Lord Zane is so handsome don't you think?" she gushed and giggled as she walked to the wardrobe. "Oh my he did pick out some amazing pieces. "Dinner is usually quite formal but what are you looking at wearing?" she asked looking to excited. Thibault was seated in his usual seat next to the fire, dark circles under his eyes, looking rather ragged. He nodded when Madeline entered, sipping his tea as he watched her. "Of course, Madeline. You know I value your opinion." He smiled kindly up at her before looking away toward the fire, deep in thought. "Does she hate me?" He asked softly, finding it odd that he was so concerned about a girl's feelings toward him. Rosemarie looked up when the servant came and told her Zane wanted her at dinner, nodding a little as he left and then the other servant came in. She blushed a little at her comments, shrugging a little as she looked over the various gowns. "I wouldn't know where to begin.. I've never seen anything so extravagant, let alone a whole wardrobe full. What would you chose?" She asked, looking over at the bubbly servant.